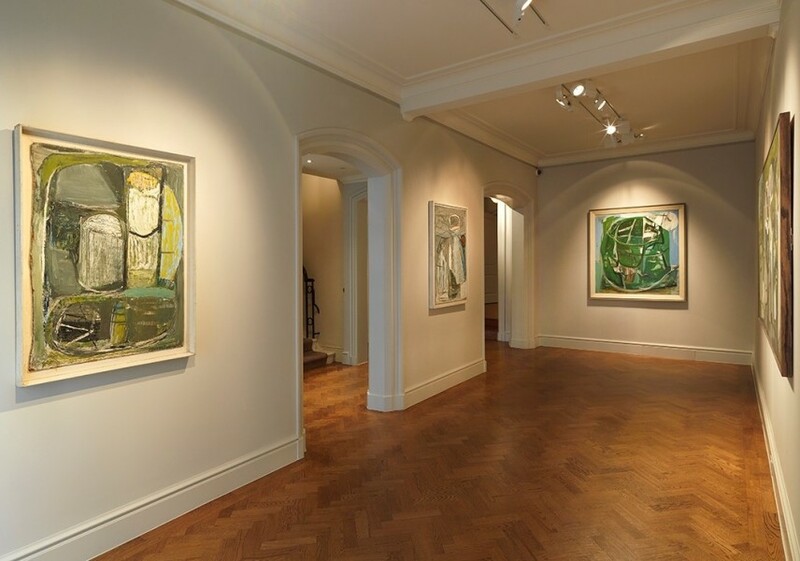 LONDON -- ‘Peter Lanyon: Cornwall Inside Out’ opens on the exact centenary of the painter’s birth and marks the publication of the first catalogue raisonné of his work. 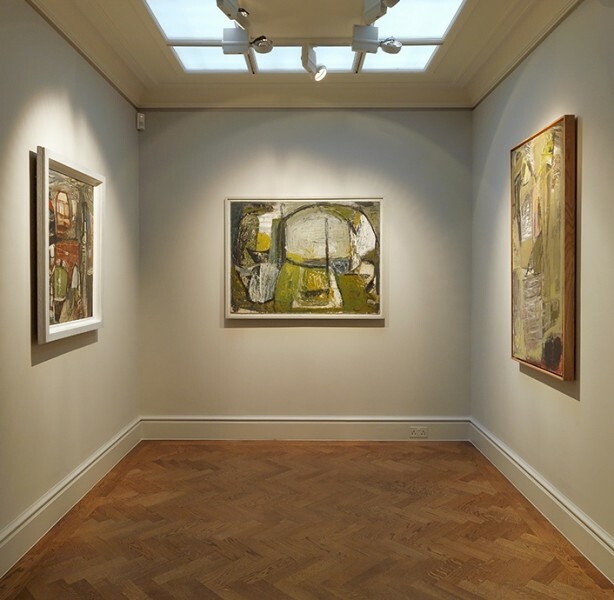 It brings together a group of Lanyon’s Cornish paintings from major private and public collections. Highlights include pictures from the David Bowie collection, from the collections of the Arts Council of England and the British Council, including Bojewyan Farms, and other important works. This centenary exhibition is curated by art historian Toby Treves, a leading expert on Lanyon and coincides with the publication of his catalogue raisonné on the artist (Modern Art Press). Treves has concentrated on Lanyon’s Cornish landscape paintings in this exhibition because these works form a central part of artist’s oeuvre, have not been the subject of an exhibition in London for many decades. Indeed some have never been exhibited in the United Kingdom. In the Cornish paintings, Lanyon immerses himself emotionally and physically in his native landscape of Penwith, the westernmost part of Cornwall. With his desire to feel a stronger sense of place, he walked, rode, and drove over the windswept moors of Penwith. He skin-dived in the sea and went down the tin mines. And finally, he flew over it in his glider and discovered not only a new perspective on the land but a whole new realm of the physical world: the inside of the sky. Peter Lanyon (1918-1964) was born on 8 February 1918 in St Ives. His parents, who came from two of the wealthiest families in Cornwall, were at the heart of the extraordinary community of artists that emerged in the St Ives in the late nineteenth and early twentieth century. Lanyon grew up among these artists and was taught to paint by them when he was a child. He later studied at the Penzance School of Art and at the Euston Road School. Lanyon is now considered to be one of the most significant British landscape painters of the mid-twentieth century. His contribution to the landscape genre was greatly indebted to Cubism, which he first encountered through the work of St Ives Group artists, such as Ben Nicholson and Naum Gabo. Lanyon saw that Cubism’s destruction of unified pictorial space presented artists with the means to convey the sense of being in a landscape rather than merely looking at one. As Lanyon adopted a more gestural handling of paint from the mid-1950s onwards, he developed a way of painting the invisible, dynamic elements that are part of the landscape, particularly those forces that create the weather and of which he acquired a more intimate knowledge once he became a glider pilot in 1959. While Lanyon is closely identified with the Cornish landscape, he also had strong international connections. He lived in Italy for two years during the war and he returned in 1950, 1953 and 1957. It was while living in a peasant village in the mountains near Rome in 1953 that he acquired the ‘strong taste of the primitive tongue which operates bodily and massively by instinct’ (Letter to Terry Frost, 30 April 1953) that informs some of the early Cornish paintings in this exhibition. He also admired the work of some of the New York painters, particularly de Kooning, Kline, Motherwell and Rothko. Famously Rothko made a pilgrimage to Cornwall to visit him there while on a trip to Europe, though what the two discussed during that legendary weekend remains the subject of conjecture. Lanyon’s reputation in America was established between 1957 and 1964 by the four one-man exhibitions held at the Catherine Viviano Gallery in New York. 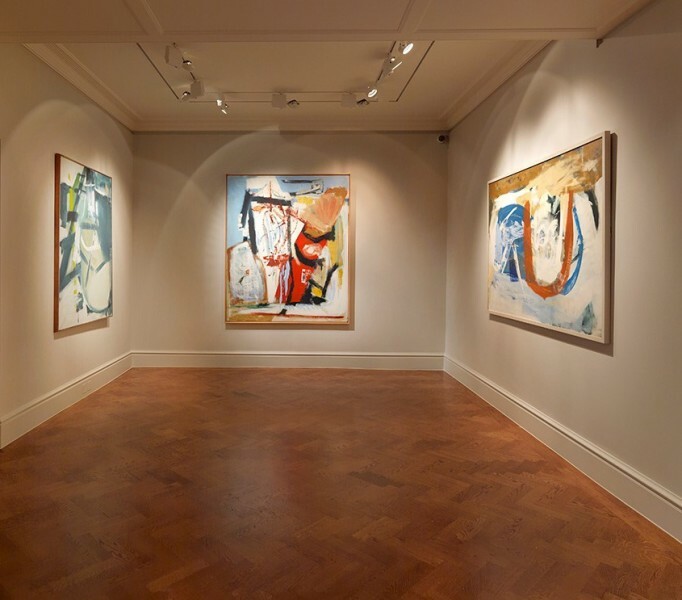 Consequently, Lanyon’s main collectors from the late 1950s were American and most of his best works from these years were never shown in the United Kingdom in his lifetime, including several paintings in this exhibition. Lanyon, who died after a gliding accident in 1964, had a questing temperament. He sought out situations that upset the settled order because he felt that order masked the messier realities of life. He valued the primitive above the polished; he wanted to experience the great human emotions, painful though they could be; he liked to stand on the edge of cliffs because the disorientation made the familiar new. As such he was a Romantic artist, as well as a modernist. 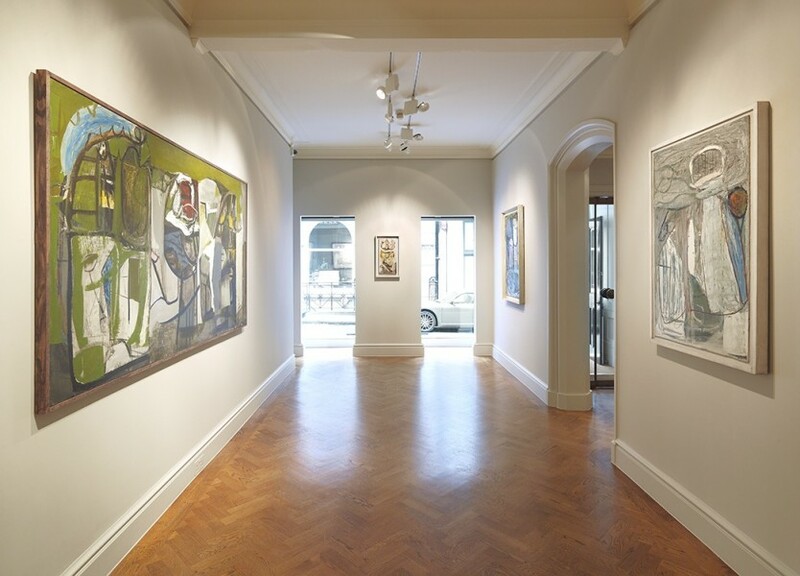 Peter Lanyon: catalogue raisonné of the oil paintings and three-dimensional works charts the development and character of Lanyon’s work more thoroughly than has been possible before. Lanyon’s art has often been thought of as spontaneous and abstract but, as the book reveals, his major pictures often took months, sometimes years, to make and always referred to the real world. It is now clear that Lanyon often worked in series, returning to the same idea over a period of months in several works, probing the subject, experimenting with his technique, and constantly pushing himself to achieve a more intense expression of his experience of a place or sometimes a person. Bird Wind, the first of Lanyon’s paintings about flight, was found in the vaults of the San Francisco Museum of Modern Art (it has never been displayed). Rising Wind, a major gliding painting, was found in the VIP changing room of a Neiman Marcus department store in Dallas (it is still there). Orpheus, a prize-winning painting, was found in the deserted ex-headquarters of a textiles manufacturer in Italy. A painting once owned by Tom Slick, the flamboyant American millionaire businessman and adventurer, was found in a trailer park in Atlanta. The book includes three essays: an introduction by Toby Treves, which discusses the artist’s intentions and the character of his work; an essay by Sam Smiles, which places Lanyon within a tradition of British landscape painting, with particular reference to Turner and Constable; and an essay by Treves and Mary Bustin, former paintings conservator at Tate, on the artist’s materials and technique. The author had access to never-before-seen letters, including two large caches belonging to the artist’s late wife Sheila Lanyon and to the art critic John Dalton, with whom Lanyon corresponded. These deepen our knowledge of Lanyon’s work and reveal his thinking about specific pictures and the hidden references they contain.